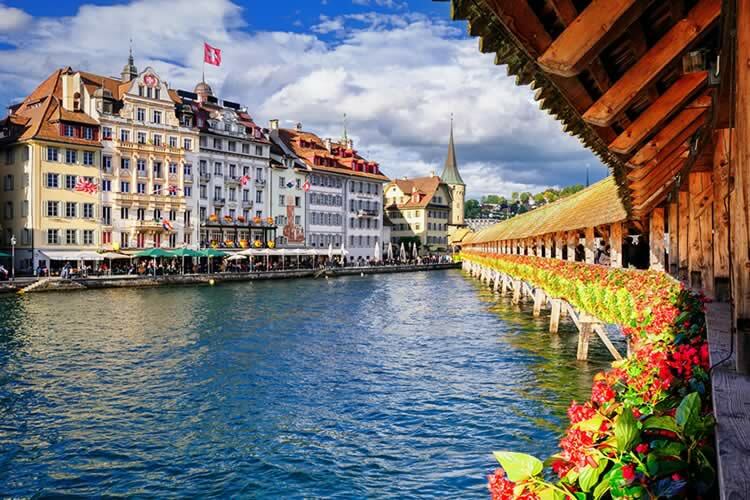 Take a relaxing Rhine river cruise to Switzerland along one of the most scenic waterways in Europe & enjoy some of the finest Alpine scenery on earth at stunning Interlaken. Fly from the UK to Düsseldorf or Cologne from where a coach will take you to the ship. 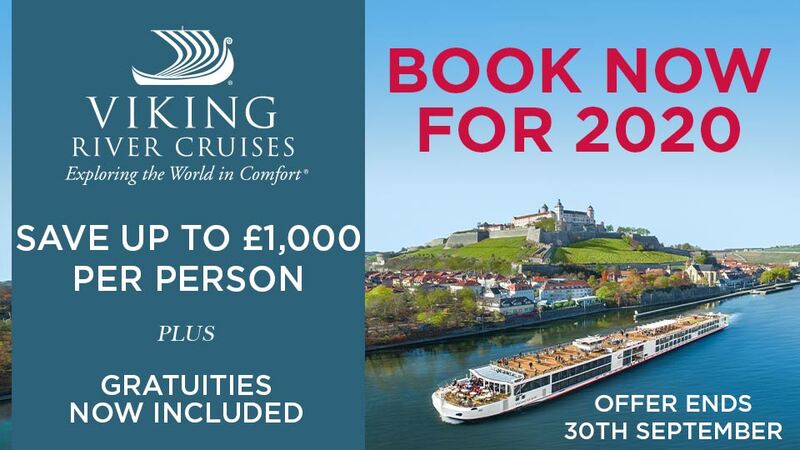 As you wake and enjoy a sumptuous breakfast, the real delights of this river cruise begin to unveil as the first rolling hills of the Rhine Valley drift silently past. Firstly you see the forested Siebengebirge (seven mountains), the inspiration for the Grimm’s many legends including ‘Snow White’, just the overture for even more dramatic scenery as you head upstream. Pass the famous ruined bridge at Remagen, captured intact by the allies in a bold action towards the end of WWII, before finally crumbling into the waters below. The pretty waterfronts of riverside towns come into view and the first of the Rhine’s vineyards shimmer in the morning sun as you glide gently into your mooring to visit picturesque Koblenz. Founded by the Romans, the city is beautifully located at the confluence of the Rhine and its sister, the Moselle. Your afternoon is free to wander ashore and explore the many medieval buildings, housing a fine array of traditional shops and classic Rhineland cafés. There is much for the student of historic buildings to admire: the former mint, the Four Towers with their ornamental 17th century turrets and several fascinating squares and churches, including the 9th century Basilica of St Kastor. The waterfront along the Moselle is stunning too, with the medieval Balduin bridge, staggeringly still in use. If you managed to resist the luscious cakes on offer from the beckoning pavement cafés then you’ll be ready for your meticulously prepared dinner on board your ship, and afterwards perhaps a quiet stroll along the riverside promenade to the Deutsches Eck, ‘German Corner’, where the great rivers Rhine and Moselle meet. Amongst the many twists and turns along its course, one of the most impressive and memorable on the Rhine is surely the huge looping ‘S’ bend at Boppard. This morning’s cruise weaves around this long meander, guarded by the mighty Marksburg Castle. Journeying further, you explore the most famous of all the river’s reaches and a real highlight of the cruise, the dramatic Rhine Gorge: steep vineyards give way to almost vertical rocky outcrops, towering over 200 metres above the sweeping valley sides. Sailing past St Goar and the many ruined castles, you get a real sense of the myths of this historic river coming alive around you. No legend is more famous than that surrounding the Loreley Rock, where beautiful nymphs distracted hapless sailors luring them to their deaths in the treacherous waters. After lunch you berth and visit Rüdesheim. The afternoon is free to relax in its bustling cafés, take a quiet stroll through the vineyards or maybe a cable car ride to the great statue of Germania, strikingly overlooking the river’s exit from the gorge. There are some delightful corners in what is a classic Rhine wine village and the connoisseur of the grape will find some genuinely top class produce in the area. After dinner this evening, why not end the day with a small Asbach - the brandy locally distilled here in Rüdesheim – as you watch the last of the ferries crossing the river in the moonlight glow. Still sailing upstream, the Rhine is much wider and flatter now, with gently rolling hills and vineyards that are home to the Liebfraumilch wines. The river is much more gentle here and Oxbow lakes, long deserted by the river flow, are a haven for over one hundred species of bird life in one of Germany’s largest nature reserves. Today the ship berths in delightfully medieval Speyer, which you are sure to love. During the 16th century in nearby Worms, Martin Luther was excommunicated for his religious beliefs and banished from the Holy Roman Empire. His followers in Speyer protested at this and for the first time were called ‘Protestants’. You can visit the neo-gothic Gedächtniskirche, built to commemorate this event and the huge, richly decorated Basilica, one of the finest Romanesque buildings in existence which when it was built was widely acclaimed as one of the finest in Christendom. Its crypt alone is the largest in Germany, with its pastel coloured sandstone pillars and striking marble floors is probably the most beautiful in the world and is the final resting place of several emperors and kings from Speyer’s illustrious past. You also have some free time to explore as you wish before re-joining the ship. This morning, you gently cruise upstream, passing through two spectacular locks, which never cease to fascinate. Why not catch up on some reading in the ship’s library, play chess or watch the scenery from the Sun Deck: relax and enjoy your well earned break. You soon arrive in France and Strasbourg, capital of the Alsace region, now one of the centres of the European Union. This afternoon, you will have a walking tour of its unique and picturesque 16th century old town, bisected by canals and a maze of narrow streets lined with timber-framed houses and sculptured portals plus the superb cathedral. Don’t be surprised if, as the shadows lengthen, you’re tempted to linger a while in a typical Alsatian café to sample some of the world famous wine for which the region is rightly renowned - maybe a Riesling or that particular speciality of Alsace, the spicy Gewürztraminer. This evening, the ‘Captain’s Dinner’ will take place on board, serving delicious specialities of the countries and regions you have visit during your cruise. 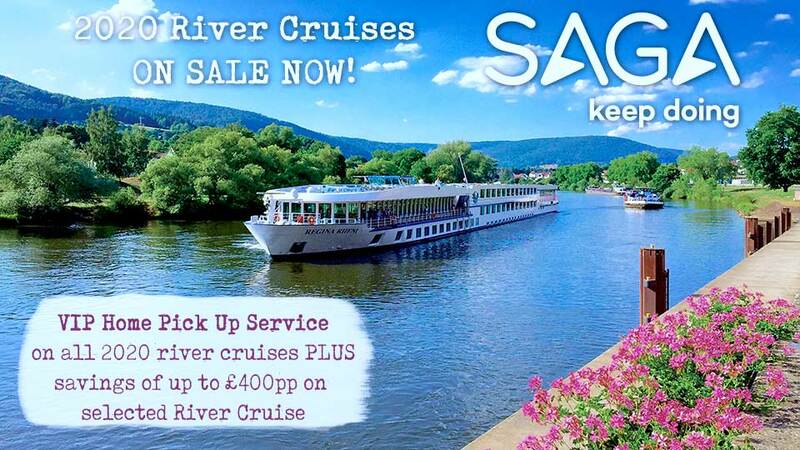 Your final day’s cruising is spent gliding majestically between the ancient forested outcrops of the Vosges and the Black Forest, through the great rift valley, formed many millennia ago by massive geological forces. Arrive at the ancient town of Breisach whose historic heart is surrounded by immense stone ramparts. This afternoon, you drive amidst some of central Europe’s most stunning scenery. Rugged valleys full of white-water rivers and cascading waterfalls, rolling hillsides covered with huge, densely packed pine trees: this is the Black Forest at its best and exactly as you expect it to be. You visit the archetypical town of Titisee, nestling on the shores of its crystal clear lake. Having rejoined the ship, the crew slip moorings, the sun sets over the imposing massif of the Vosges Mountains and the riverside lights begin to twinkle as you restart your stately passage up river. You enjoy this evening’s dinner cruise en-route to Switzerland and your next mooring at Basel. For many today will be the highlight of the cruise. You firstly take the short drive to Lucerne; spectacularly nestled among stunning mountain views, it is by far Switzerland’s most beautiful city and has been attracting well-heeled visitors for two centuries, one of the most famous being our very own Queen Victoria. You must take an invigorating stroll along the Chapel Bridge – symbol of the city, a unique covered wooden walkway crossing the lake supported by stilts, lined with colourful, flower-filled window boxes and a superb way to absorb Lucerne’s rather regal atmosphere. The scenery becomes ever more dramatic and then as you enter the Bernese Oberland in central Switzerland, it becomes quite literally breathtaking! This is the grand Alpine heart of Europe and amongst the finest mountain scenery on earth, described by the composer Mendelssohn as ‘the most wonderful of all in this unbelievably beautiful country’. On viewing the spectacular snow-capped peaks of the Eiger, Mönch and Jungfrau you will be quite simply awestruck. You'll then ascend into the lofty scenery on the most scenic journey by mountain railway for more breathtaking vistas with the crystal-clear shimmering lakes reflecting the alpine meadows and lush forests below. This truly magical landscape will enchant you. Please note temperatures will be significantly lower at altitude even in summer months so it is advised that you pack suitable clothing. Guided tours of Strasbourg, drive through the Black Forest to Titisee and full day excursion to Lucerne and the Bernse Oberland. Plus visits to Koblenz, Rudesheim, Breisach & Spyer.